Here are a few great tips for growing strawberries in backyard vegetable gardens. Learn how to plant, care for, and maintain June-Bearing, Everbearing, and Day Neutral strawberry plants when gardening at home. Strawberries can be part of a permanent garden area that includes such delicacies as asparagus, perennial onions, blueberries, and raspberries. Another excellent idea for growing strawberries if you lack a lot of gardening space is planting them in a pyramid garden. A terraced garden that is approximately 6 feet in diameter will hold 50 strawberry plants or a combination of vegetables and flowers along with the strawberries. You use corrugated aluminum bands to form three planting terraces which are each six inches deep. 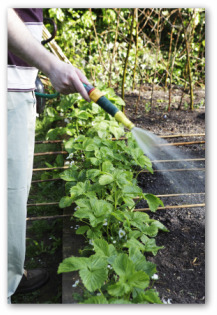 Purchase covers and netting to protect your crops from the weather and pests. Strawberries grown in the home garden are generally sweeter and more flavorful than any bought in grocery stores. Strawberries are very perishable, and freshly picked, ripe strawberries taste better than those that are several days old. Commercial growers grow varieties that travel without bruising which eliminates the June-bearing varieties we mentioned above. June-Bearing strawberry plants send out runners, which are side-shoots that will grow into new strawberry plants if left unchecked. Allow some of these runners to grow into new plants to enlarge your strawberry row. The new plants that will grow from the runners can become successive plantings to replace the older plants. 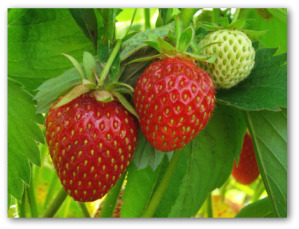 This type of strawberry plants produce one large crop per year over a 2 to 3 week period in the late spring or early summer. June-Bearing strawberries are the most typically grown plants. They produce one flush of flowers, and produce many strawberry runner. 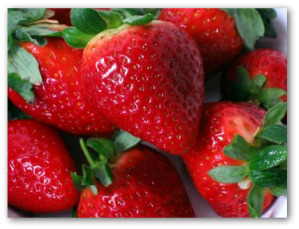 You can purchase early, middle, and late season varieties of June-Bearing strawberry plants. This type generally produces the largest strawberries. Surecrop is a dependable variety and one of the easiest to grow. 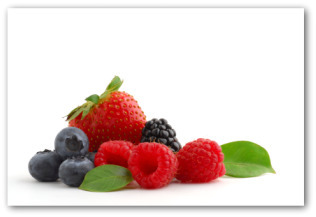 The giant-sized, delicious berries retain their firmness and wonderful flavor. This type is chosen by many growers for its vigor, hardiness, and dependability. The high-yielder averages almost three pints of berries per plant. The plant earns its name by being a consistent producer. Good selection for freezing. Sparkle is a late-midseason abundant producer. The plants are very hardy, productive, and dependable. The plant produces glossy, crimson-red berries with exceptional taste and quality. 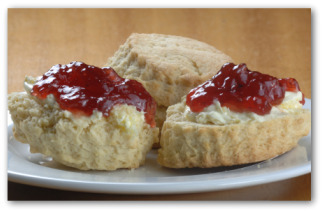 Perfect choice for serving fresh, freezing, and preserving. This type of strawberries provide two or three fruit harvests off and on during the spring, summer and fall. Everbearing strawberries do not send out many runners. 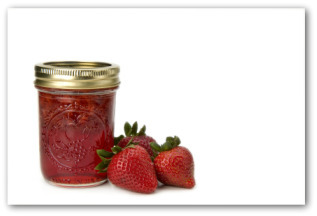 Ozark Beauty is known as one of the greatest producing everbearing strawberries. This variety produces continuous crops with tremendous yield. You can expect big, firm, juicy, scarlet red berries that will retain these qualities throughout canning and freezing. The plants are self-pollinating and their vigorous vines thrive in any soil. Berry production continues from early summer until frost arrives. Quinault is one of the largest strawberry varieties. The berries often grow to the size of teacups. The deep red, firm berry is a delight for eating fresh, making mouth watering desserts, freezing, or preserving. This variety is one of the most disease resistant varieties of growing strawberries available. Alexandria produces a modest yield all summer long until fall. .This variety does not send out runners but grows neatly up to a foot tall. Their fruit is deep-red and sweet tasting. This type strawberry also produces fruit during the entire growing season. Day neutral plants also produce few runners. Both day neutral and everbearing varieties are useful when you have limited space. However the fruit on these varieties of strawberries is usually smaller than the fruit on the June bearer varieties. In order to have fruiting size plants in May, the seeds must be sown indoors in December. Sprinkle the contents of one seed package onto the surface of a 6 inch pot filled within a quarter inch of the top with potting soil. Cover the seeds with 1/8 inch of peat moss and bottom-water. When first true leaves appear, transfer the seedlings to six-packs. When they grow to about two inches high, put them in individual 3 inch pots. Early in April, set the plants into the cold frame to harden off. The strawberries can be planted outdoors later in the month. Beginning late in May the plants grow an abundance of white flowers, followed by the first fruit in early June. An ideal spot for planting strawberry plants is above a low railroad-tie retaining wall. You may want yours to edge a garden walk, to grow in a strawberry barrel, or add interest to a rock garden. Strawberry transplants of all varieties can be purchased online or at your local garden center at the appropriate planting time in the spring. Follow the planting and spacing instructions that come with your transplants, as it will vary depending on whether you are planting day neutral, everbearing, or June bearing plants. Set June-bearing strawberry plants into the ground as early in the spring as possible so they can be well rooted before the arrival of warm weather. Prepare the soil the previous fall by covering it with a two inch layer of cow manure and four inches of compost. In the spring, dig both of these materials into the soil. Spread 10-10-10 fertilizer on the surface of 1 ½ pounds to 100 square feet. A slightly acid soil condition is ideal for growing strawberries.